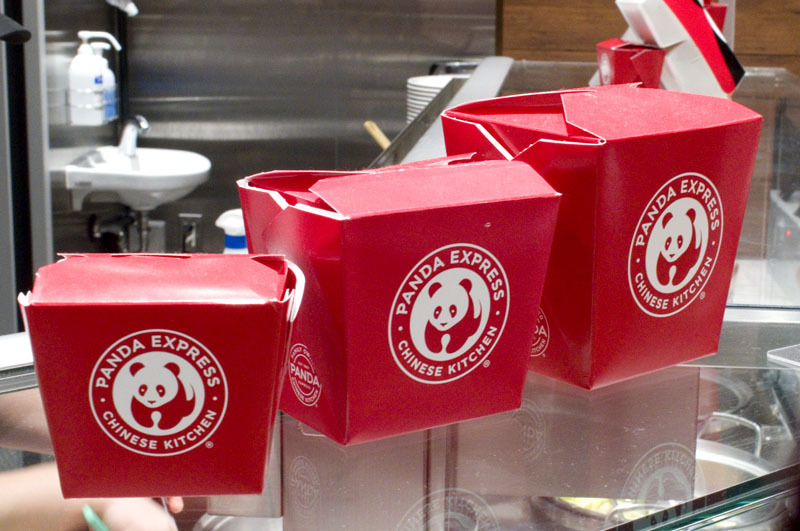 A fixture in shopping malls across the US, this very popular chain (with 1900 branches around the world) specializes in a uniquely American cuisine – American-Chinese food. If you’re not familiar with the genre, Panda’s famous Orange Chicken is a good place to start, with its pleasantly crunchy texture and its complementary sweet and sour flavors. Panda’s Egg Rolls are nicely balanced between their crisply fried outer skins and soft and squishy fillings, and make a nice side dish. There’s typically a rotating selection of eight to ten main dishes to choose from, with names like Mongolian Pork, Kung Pao Chicken and Shanghai Steak. A “Big Plate” combo (Y1144) is a hefty meal that comes with your choice of three mains plus one or two “bases” like Fried Rice, Chow Mein, white rice or steamed vegetables. Smaller-size combos are also available, and you can opt for half and half portions of the base item, such as Fried Rice plus Chow Mein.